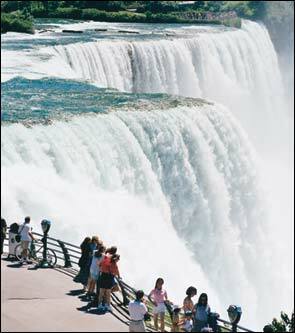 Niagara is a large waterfall on the Niagara River at the international boundary line between United States state of New York with the Canadian province of Ontario. This waterfall is about 17 miles (27 km) north northwest of Buffalo, New York and 75 miles (120 km) southeast of Toronto, Ontario. Niagara is a group of three. 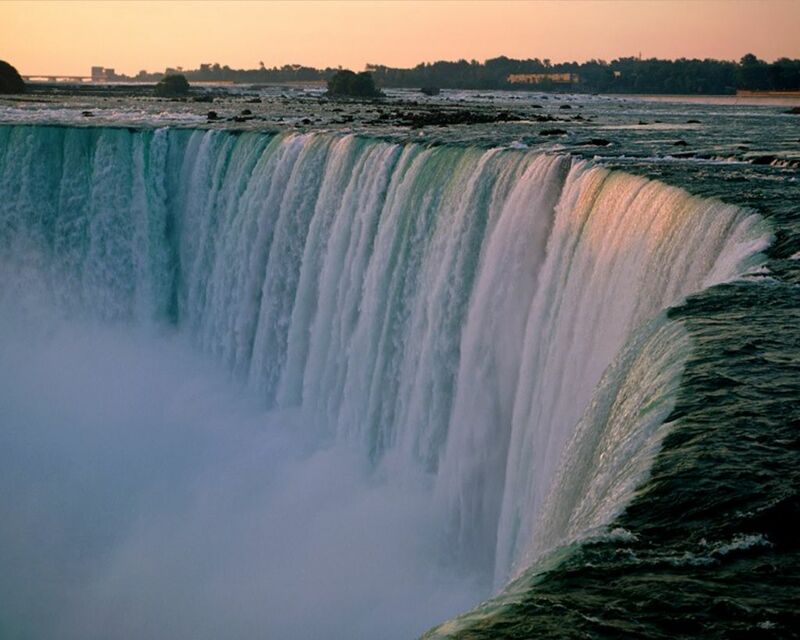 The third waterfall is a waterfall Horseshoe (sometimes referred to as Canada's waterfall), waterfalls America, and the smaller Bridal Veil waterfall that is separated by an island, Luna Island from the main waterfall.